Joel Therien is another successful multilevel marketer who resides in San Antonio, Texas; he is commonly associated with the multilevel marketing company which is known worldwide called Pure Leverage. The company conducts big time marketing and talking about weight lose products, then leverage talk about that if a person joins the program and sells he or she gets 100% commission. He is married to Illona Innus hence a family man now, he started becoming interested in internet issues in pursuit of a solution to a health problem he had. This lead to thorough internet research which culminated to a million dollar business he now runs. He first started off by building the business on his own without the assistance of anyone, he thought he knew everything since he is educated and learned in the type of business he is doing. But later on he discovered that you can’t succeed all alone, there are people who have experience in what you are doing. You can do it better by the help of other experts in the field, that’s how the multilevel marketing started in his business as we will see. 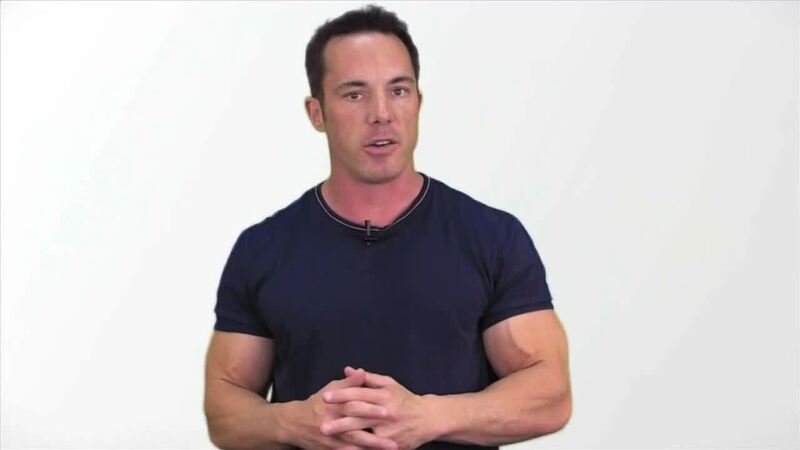 Joel Therien initially was working as a personal trainer especially for body building session; this he started when was just out of the college in early days. This is what eventually will characterize his multilevel success story; he formerly worked as a Pulmonary and Cardiac Rehabilitation Specialist at Montford Hospital which is based in Ottawa, Ontario Canada. This background is what eventually the backbone of the current exploits became. The online marketing guru is making in internet business today in great measure. At 27 years he had lost his health becoming very emaciated and a pale shadow of himself, this is one thing which made him to seek for an answer from research in the internet. He spent many hours daily for 2years trying to figure out the source or cure, this culminated to what has become his success story today in online business. This is one of the most successful multilevel marketing platform ever created around, it’s the brainchild of Joel as its creator. Pure leverage is an online program where participants are getting up to 100% commission. It’s also another marketing program with several tools for online marketers being sold at about $24.95, it was launched in 2013, and the program was intended for any online marketer owing to its many marketing tools. Marketers can use the unique tools incorporated in the program to help them excel in marketing in real time, it has sold some great numbers online earning its creator some millions of dollars. The program helps affiliates to get 100% commission once there is a sign up or when an affiliate introduces someone. Joel Therien had a great future with a good job in a medical facility paying him enough money, but he wanted something more than that notwithstanding, a good and well-paying job with an annual salary of $52,000 and a good boss. He couldn’t imagine doing the work of “stress tests” in a medical facility for the next 40 years. So he quit to start own businesses which today are known in the whole world. He basically wanted to have a better2 life for himself and his family; he wanted to live it big in real time that was the motivating factor behind his success today. In the meantime Joel Therien can trace his success to having been involved in a family business, the business was about advertising which also involved online promotional activities. This aspect also spurs his skills in multilevel marketing. Telco Advertising Company became a propelling factor which Joel eventually used to launch his online businesses; the company has been in existence for over 35 years doing advertising. Around the year 1997 he started an online business portal in the region where he was residing, the portal aylmerkiosk.com which was to provide business information in Aylmer town or region. The main task of this portal was to provide information; many businesses used it as a host. He thereafter developed another business site known as kiosk.ws which he sustained for 12 years, the business became a division of Telco Advertising Company, it still2 runs to date with Joel Therien as its CEO and founder. The business is now located in the New Data center of San Antonio, Texas which houses the multilevel business now. This is the umbrella company which Joel Therien is using as a platform to host many other online business, it’s an off shoot of the kiosk,ws, the company is headquartered in San Antonio, Texas at the main data center. There are many other online and offline companies which are directly affiliated to this main branch. It has a well-organized management system with several specialists heading their own departments and offering online marketing solutions. GVO as its known has Joel as its founder, CEO and President at the same time, out of it there are several online and offline subsidiaries mainly dealing in marketing and marketing tools. GVO has a branch which deal entirely with web hosting services, the affiliate company is known as GVO Web hosting with an affiliate known as gogvo. The branch concentrates in offering fast class web hosting too many websites and individual businesses, it’s headed still by Joel Therien, and besides being a web hosting company it also gives the customers whose webs are hosted a full marketing experience. This can be exhibited owing to unique and highly valuable marketing tools it offers them. It has tools which are valuable to market businesses online in Google places, and other online marketing platforms. The web hosting affiliate is very professional and highly esteemed in online marketing fraternity. There are so many program created by Joel Therien online to help in online marketing, the unique marketing tools have helped so many online marketers to excel in real time. The Global Ventures opportunities is the umbrella company with which all programs and subsidiaries are attached to, he is just a successful online marketer with a bias in multilevel marketing products per excellence. Like Joel Therien other wide Industry leader & Earner. organization of nearly 10,000 Members at the time of this writing, creating dozens of 6-figure and soon to be 7-figure earners on his Team, and has thousands of his own Members making money online with him. He & his wife Cesarina have now earned nearly $700,000 in personal income – and they did it all online, part time, and without picking up a phone to prospect, recruit, or do a single 3-way call or home party. If you are looking for an expert in Team Building & Personal One On One Mentorship, click here to see the simple, common sense system that thousands of Silvio’s Members are using.